Taking a trip to the snow is one of the most fun and exciting things that you can do on your family holidays. There’s simply something magical about a skiing vacation, and there’s something that every age and skill level can enjoy when you choose the right resort. If you’re looking for the best places to hit the snow on your next holiday, here are some of the top ski resorts that the whole family can enjoy. Located just 45 minutes from the beautiful surrounds of Queenstown, The Remarkables is popular with families who want to stay in town and travel to the slopes in between their other holiday activities. From gentle beginner terrains which encourage a steady progression, to adrenaline pumping Black Diamond runs for the passionate ski experts, The Remarkables ski fields can cater for every ability within your family. Their kids clubs are extensive and well planned, and there are plenty of great facilities when you’re ready for a warm drink and a bite to eat. Why not add a ski adventure at The Remarkables to your Queenstown holiday, and enjoy the best that the area has to offer. Here is a ski field that actively markets itself as being family friendly, with something on offer for all ability levels and ages. With great value family passes on offer and full gear available to hire, Treble Cone makes a day on the slopes a fun and affordable experience. There are specialised lesson systems for all ages, from one on one introduction classes for the little ones to exciting group lessons for kids aged 5 and over. There’s plenty of action to be had for the older and more experienced skiers as well, with a range of slopes tailored to suit all ability levels. 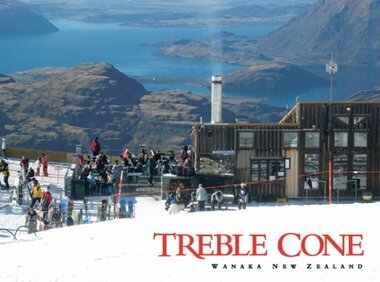 With professional childcare available and a warm café looking out over the kids slopes for parents, Treble Cone lives up to its reputation as being one of the best family ski fields around. Another family favourite, Mount Hutt sweetens the snow holiday deal by offering a very special promotion to families with children who are less than 10 years of age. For every paying adult, the Kids4Free program offers free travel, accommodation, meals and skiing to any child under 10 in partnership with local participating businesses. This initiative is one of the most innovative ways to make your next ski holiday as affordable as it is enjoyable. They offer a range of specialised kids clubs, beginner slopes and some serious advanced challenges for those seeking a bit more of an adrenaline rush. The whole family is well and truly catered for when you choose to holiday at Mount Hutt. New Zealand offers some of the best ski slopes for families to enjoy their snow holidays together. When you’re looking for a great family getaway, keep these top ski resorts in mind to ensure that your getaway is truly the trip of a lifetime.